I did this successfully for a long while in my earlier days. I don’t do it so much now as my target audience has changed, though occasionally I’ll spend some time doing it just as a way to help others rather than using it as a marketing opportunity. 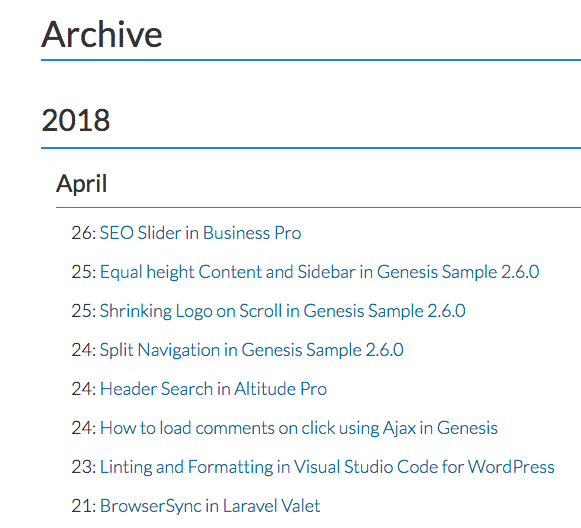 For me, it was the Thesis forums, and then the Genesis forums (both WordPress themes). 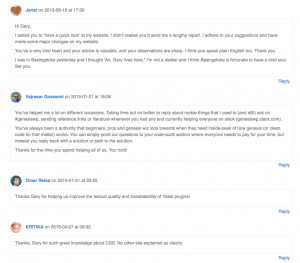 For Genesis, I’d head to the StudioPress community support forum posts that have not yet received a reply. By spending 30-60 minutes a day answering support forum questions, and you’ll get the following benefits. Even if you’re familiar with a product, chances are you won’t know everything straight away. You may have to go and find or work out the answers to some support forum questions, so that will help you to get better with the product or a coding technique. 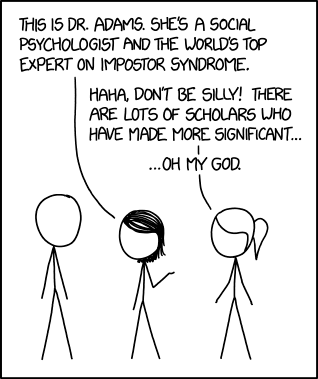 Once you understand that even the “experts” do this, then the less you’ll feel of the imposter syndrome you might get about answering someone else’s question. 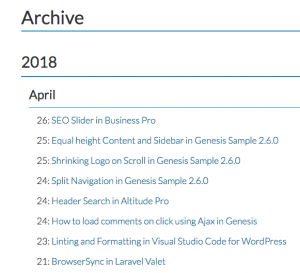 In the Genesis community, we had Sridhar who answered each question in full as a tutorial on his own site and then linked that post in his answer. It meant that over a number of months, he had several hundred tutorials, usually with screenshots or videos. He built a reputation and a knowledge base that he then turned into a membership site earning him $10,000+ in monthly recurring revenue. Not bad at all, and a great way to monetize your knowledge. For a while, I asked people (via a forum signature) who found my answer helpful to leave a brief comment on https://garyjones.co.uk/helped – that enabled me to publicly show folks that I was active in the community. Not everyone commented of course, but it was useful to have a permanent record of at least some of the hundreds/thousands of people I’d helped. Thankful people will remember you in the future and recommend you to others. You’ll become known for being an expert on that product. Most support forums will allow you to add a forum signature – a footer that appears on each post you make. Adding a forum signature link back to a targeted landing page like `example.com/genesis-support` (or whatever theme/plugin forum you’re on) with details of how you can offer paid help with that specific item, will help to cement your reputation as a specialist with that item. Paid work will come from it. It’s not spammy since each forum post you make is there to help someone. It depends on the product of course, and how active the product owner is in the support forums, but over time, being seen as a big contributor to the community may get you spotted by the owners. 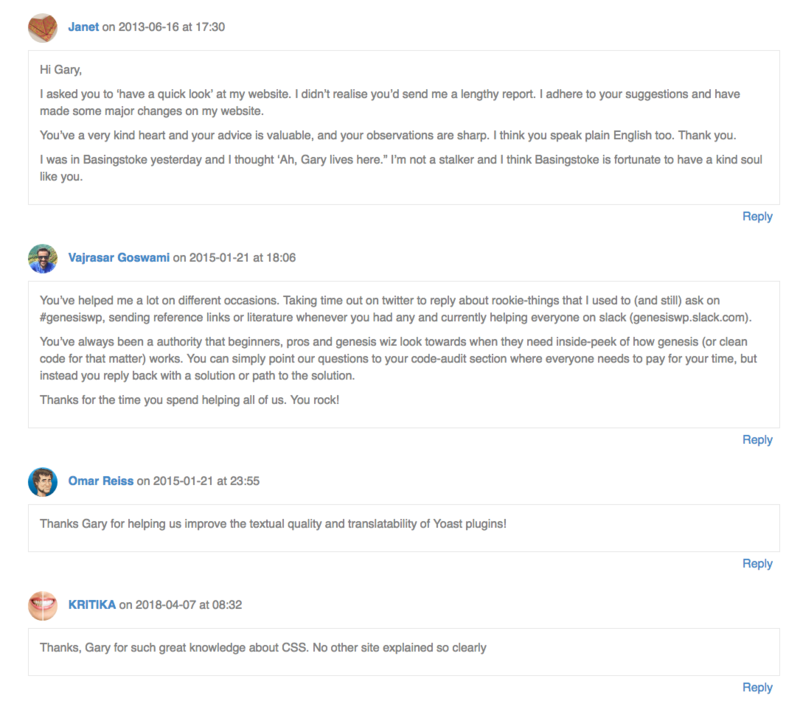 If you’re looking to do contribute to the product itself (which I did with Genesis), or do some paid work for the product company (which I did with StudioPress), then make yourself become an asset to them by helping them with their support forum work.